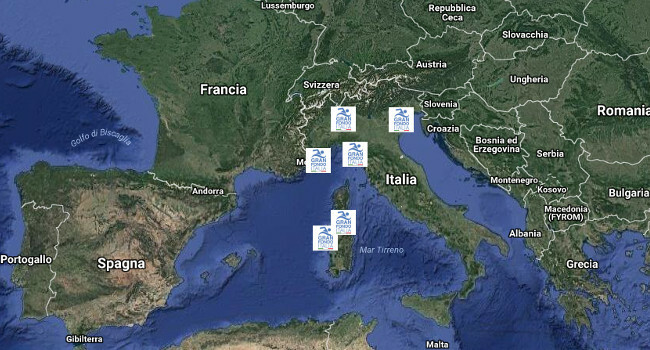 Gran Fondo Italia is the independent Italian Circuit of Open Water Swimming (OWS) that was created in 2016 and groups together a number of long distance races (15 to 25 km), starting from several Italian localities and following direct routes. Each race has the lowest possible environmental impact in terms of the means used, with the assistance of canoeists and kayakers. Gran Fondo Italia combines different OWS long-distance races in a circuit, creating an event in Italy that has no equal in a growing sport movement. OWS long-distance is for swimming what the marathon is for running and has become increasingly popular in recent years.